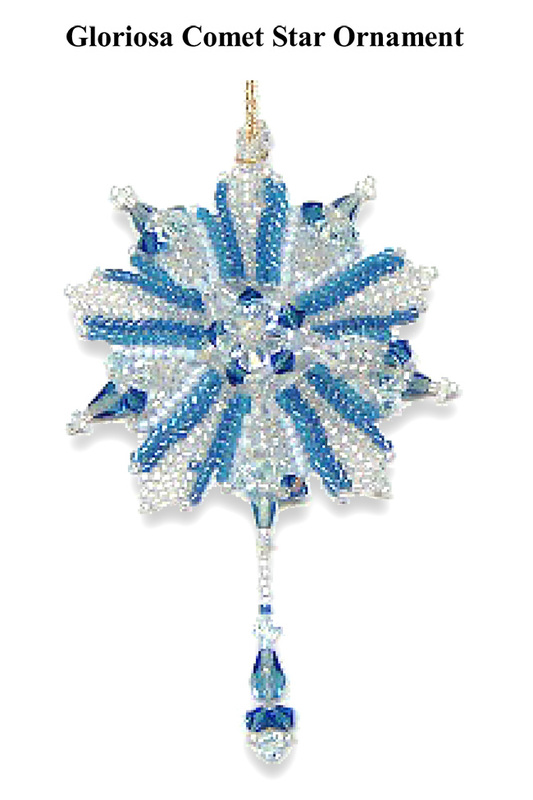 I have a feeling it's going to be a "Blue Christmas" this year, and here is a pretty Gloriosa Comet Star Ornament to prove it! Pattern includes clear color picture of the finished ornament, suggested beads with bead counts, step-by-step color graphs and diagrams with thread paths, detailed written instructions, suggested finishing touches. Basic stitch instructions NOT included, but you will find it helpful to download my free tutorial, "Beading My Way" for help with my particular techniques.